The design of a new World Headquarters for Shaklee Corporation represents an opportunity to model its values and style from the ground up. By consolidating various divisions on a suburban site, Shaklee’s vision emphasizes its commitment to its employees and the environment. A high performance environment was created that focuses on improved teaming, communication and collaboration. Their products and philosophy are based on respect for the laws of nature as a way of living a full, healthy life. As an extension of these beliefs, the new headquarters building is the realization of Shaklee’s values, creating an environment that is "In Harmony with Nature". Every effort has been made to incorporate natural light, materials and colors with the most advanced architectural technology to create a people-friendly, environmentally conscious workspace. The office buildings form outdoor courtyards, sheltered from Pleasanton's hot summer sun and gusting west wind. 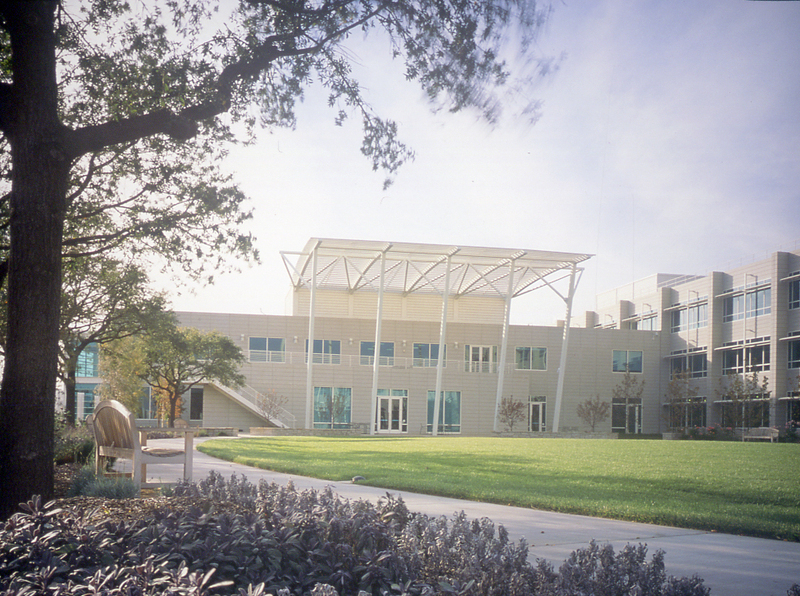 The buildings are connected by a "tour spine" that houses the main public entry and a two story exhibition space that will introduce Shaklee to its customers, visitors, and employees. The central atrium is designed as a "hearth," and vital or creative center. This home-like setting provides for a natural but informal gathering place for people as they get their mail or a snack, copy documents or receive information. The "garden path," a zone along the perimeter of the building, overlooking the landscaped courtyard, provides another place for informal gathering separated by hedges from the adjoining workplace. The design team drew extensively on recyclable, certified sustainable, and environmentally safe materials, finishes, and products throughout the project. Having received numerous awards, (including a White-House recommendation) for its design, energy efficiency and sustainability, the building's true value is measured in many ways other than cost. Creativity and inspiration were Shaklee's desired outcome, making the headquarters a tool to motivate and inspire employees and visitors.